Weekends are the most awaited days by the people who stay in the office for more than 40 hours from Monday to Friday, as these are the only days in a week that they get to spend with friends and/or family without having to worry about the time. Hence, to make your Saturday and Sunday more memorable, why don’t you invite everyone on a road trip and see where your feet (or your vehicle, really) will take you? 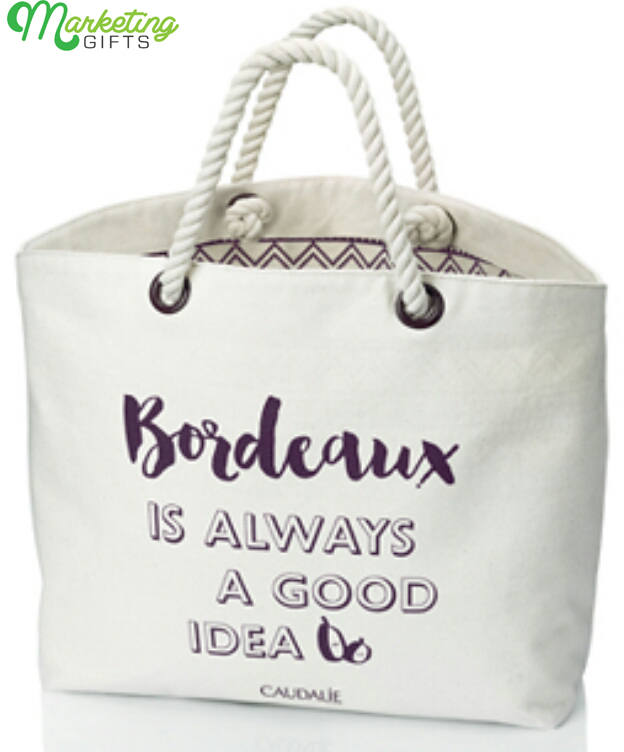 This is going to be extra fun when you put all your essentials in this weekender bag made by Caudalie. Lesser Costs. The branded weekend bag is practically created from canvas cloth with a thick rope for handles. It is not expensive by any means, but it remains to appear so elegant due to how it has been constructed. Bigger Room for Branding. As the material is light-colored, the company has gotten more room to place the brand name and various accoutrements on. These add-ons make the gift with purchase special. More Designs Accessible. 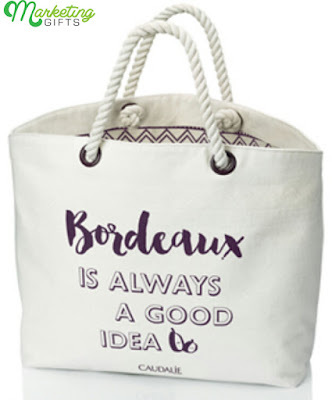 Caudalie has decided on using statements to design the promo gift with. Other things you can do to market your brand this way is use more colors or enlarge the brand logo to maintain the neat look. Be sure to check out the Marketing Gifts blog soon.